Click Here to order on The Heart of the Matter website and I will mail them to you a.s.a.p. 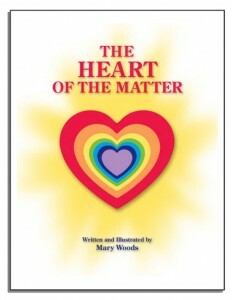 Click Here to order my book The Heart of the Matter (Kindle Edition) directly from Amazon. As humans awake from their unconscious slumber, that numb place in consciousness where denial is the frequency and the guest – as the cosmic energy continues to increase and floods the consciousness of mankind with the spark of their own knowing and power – more and more angry people will rise out of their numb slumber and begin to protest the dysfunctional conditions in which they are living. You can see or sense the unrest, the protests, and the anger that are manifesting around the globe. 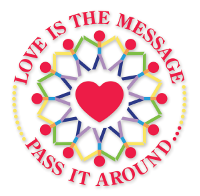 Your service work… and the service work of all multidimensional starhumans who are awake and aware… is to hold a steady pure frequency of love, joy, gratitude, and appreciation. This frequency and this resonance of these pure, high vibrations will act as the foundation and the anchoring that allows for the new paradigm, as everything is shifting and moving into the higher dimensions. You, along with others, have your own personal denseness to uplift and transform, as well as holding the frequency of the high vibrations for others to resonate with. Allow yourself to laugh, play, be in your joy, be in your heart, and be in your full appreciation of this wonderful game. Remember you are as big as the stars. This body and this life are only a small reflection of your magnificence. Allow and invite the fullness of your starself to shine into your life. But we have only begun to love the earth. How could we tire of hope? – so much is in the bud. How can desire fail? – we have only begun to imagine justice and mercy, only begun to envision how it might be to live as siblings with beast and flower, not as oppressors. Surely our river cannot already be hastening into the sea of non- being? Surely it cannot drag, in the silt, all that is innocent? too much hurt we have done to each other that cannot yet be forgiven. So much is unfolding that must complete its gesture, so much is in the bud. When one lives a life of permanent purpose…team chemistry thrives, and life decisions become wiser and more cautious…as a leader, manager, or co-worker; as a parent, spouse, or friend. When we understand that every action matters…every result of our actions immediately improves and deciding to do something will make all the difference! How far forward would we need to go in your life to show the difference you make? There are generations yet unborn whose very lives will be shifted and shaped by the moves you make and the actions you take today…and tomorrow…and the next day. You have been created as one of a kind, there has never been one like you…and there never will be again. Your spirit, thoughts, and feelings, your ability to reason and act all exist in no one else. You have been created in order that you might make a difference. Your actions have far greater value than silver or gold. Your life…and what you do with it today…matters forever. Truth. Live the truth that resonates with you, regardless of how you have been conditioned or what the good opinions of others might be. Peace. Decide to always choose that which brings you and others a sense of both inner and outer peace. Love. 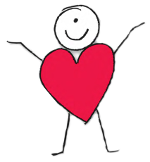 Be a force of love as often as you can and subdue thoughts of hatred, judgment, and anger whenever you feel them surface. This year’s Wolf Moon will take place on January 23rd or early morning on the 24th depending on your time zone. It’ll be something to look forward to since it’ll give off some much needed positive vibes. Many of us may feel like we’ve literally been thrown to the wolves during the month of January. The planetary energy has been rocky and the start to 2016 has been anything but smooth. We can thank Mercury retrograde coupled with some other intense planetary combinations for that. But as the saying goes, throw me to the wolves and I’ll come back leading the pack. When things are down and out, they can’t remain like that forever. This Full Moon is going to be the point where we can turn things around. Some clarity may come to the table and a light bulb of awareness could get switched on. The Full Moon always has a way of heightening awareness as well creating closure. Interestingly enough, January’s Full Moon will fall in the sign of Leo and nobody likes to lead the pack more than this sign. Leo’s the sign that likes to laugh, let loose and let go of the seriousness. With the Full Moon highlighting this sign so prominently, a lighter feel may come over us.